Oh, except I must say that the above is from Bonnie's class in Georgia, think this class was called Starstruck Stars...? Absolutely marvelous how her very old and dated fabrics look fantastic in this scrappy setting. Thanks for the beautiful show and tell. I love the pinks and browns together and nine patches in every color. The star struck and Jo's quilt are great, too. Lots of fun things to look at today. Love it! Fantastic show and tell! Thanks! 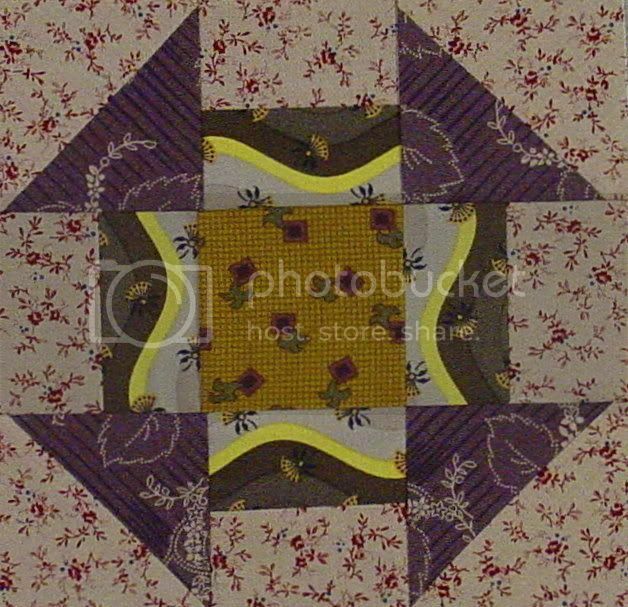 Marvelous pictures of beautiful quilts. Thanks so much for taking time to share! Love the stars....but love, love, love the strippy nine patch. Simplicity is it's own beauty! I enjoyed all the quilt pictures! Fabulous feast for the eyes!! Lovely. So many lovely quilts. Thanks for sharing.